mind and soul. 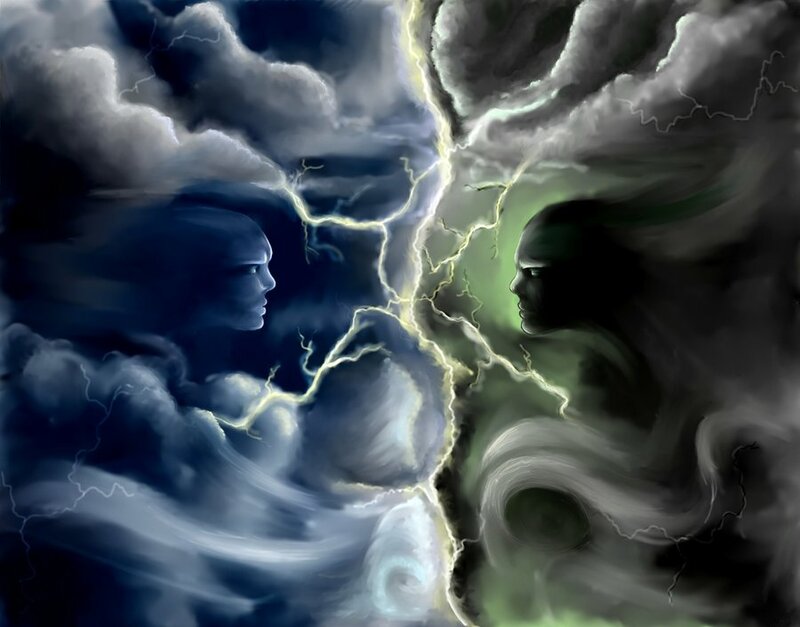 It is what has been called the eternal battle between light and dark. The war of the Sons of Light, Against the Sons of Darkness. This is a most marked division of souls by God that created The War of the Sons of Light, Against the Sons of Darkness is also known as “War Rule“, “Rule of War” and the “War Scroll.” It is an ancient Gnostic manual for military organization and strategy that was discovered among the Dead Sea Scrolls. This War Scroll was found among the scrolls along the Jordan River in the Qumran Cave first published by Eleazar Sukenik in 1955. It is one of the most important documents of the Gnostic Essene sect of Jews that established a community at Qumrān in the Judaean desert during the first half of the 2nd Century BC. The Essenes thought themselves to be the holy elect of Israel, the Sons of Light, who would at the end of time, engage in a catastrophic war with the enemies of Israel, the Sons of Darkness. They did not call themselves Essenes, but were a priesthood known in the Old and New Testaments as the Kohanim Levites of the Tribe of Levi. They were a specific race of people who originally hail from the island of Crete, and Dia (Kos). In Egypt, Philo described these priests as the Egyptian Therapeutae before the Christian era. The meaning of Therapeutae is the “physicians or healers,” and this is where we get the modern English work therapeutic. Pliny gave their number as around 4,000. This priesthood sect of the Kohanim Levites who were later called the Essenes, were an ancient priesthood of Gnostics and professional healers. Those good souls whom the light of Life has shone they have received the light of the spiritual knowledge of the glory of the Divine or God by proof of their good works would belong to the first class, “the sons of light, and the sons of the day.” The sons of light can be said to live the full and true life of the soul. On the other hand, all the souls who live but selfish lives who have not received the light of the spiritual knowledge of the glory of the Divine or God live in darkness, and who have not yet received into their hearts, the Sun of righteousness, are still wrapped in the shades of spiritual night, are “the sons of darkness,” “the sons of the night.” The sons of darkness are the sons of death. They are ignorant of the divine or God, and live without spiritual life or light— they are cast into “the outer darkness.” These souls are “The Breakers of the Covenant”. 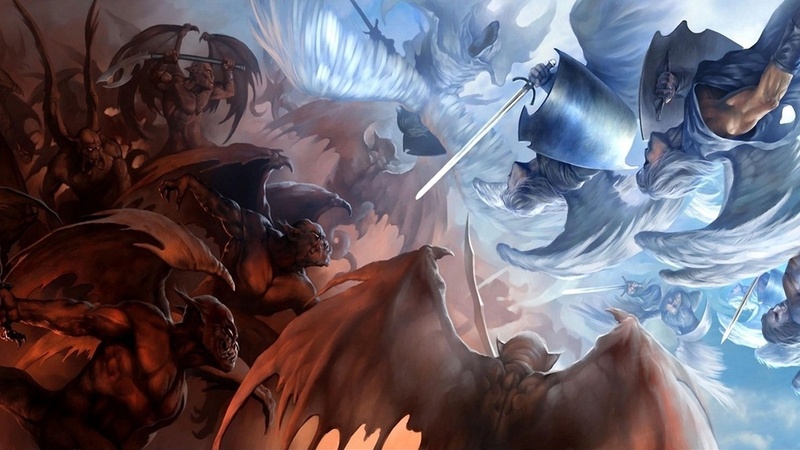 The War of the Sons of Light, Against the Sons of Darkness, describe how the world stage was set long ago in an apocalyptic prophecy of a war between the Sons of Light and the Sons of Darkness. The two warring factions are described as going to battle with one another for the rulership of the world. The global war that consists of the Sons of Light from the Tribes of Israel consisting of the sons of Levi, the sons of Judah, and the sons of Benjamin. The second part of the war (the War of Divisions) is described as the Sons of Light, now the united twelve tribes of Israel, conquering the “nations of vanity.” In the end, all of Darkness is to be destroyed and Light will live in peace for all eternity. The text goes on to detail inscriptions for trumpets and banners for the war and liturgies for the priests during the conflict. It is the eternal battle of light and darkness. Good vs. Evil, Zeus vs. Typhon, Hercules vs. Medusa, Horus vs. Typhon, The Lord vs the devil, Jesus vs. Satan; An ancient war that was fought when man first became embodied with a soul, a conscious and the freedom to choose; A battle that each one of us also fights within, and without. In the end, the War of the Sons of Light, Against the Sons of Darkness will come to one final showdown that will take the world by apocalyptic surprise. The War Rule states we are all spiritual militants who choose our roles in this real war that has been played for thousands of years here on earth. All that can be said in these last days are to choose your battles wisely, and prepare your soul for what is to come.